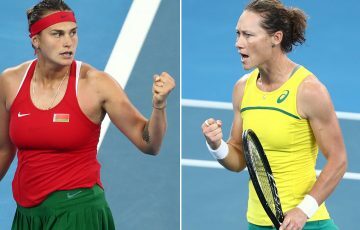 UPDATE 10 PM: Tough day for the Aussies as only Samantha Stosur makes a winning start. The local support cast found any number of ways to fluff their lines as leading lady Samantha Stosur made a welcome winning start to the Australian Open on Monday. The ninth-seeded Stosur survived an opening-set scare before downing Taiwan’s Kai-Chen Chang 7-6 (3) 6-3. It was Stosur’s maiden victory of 2013 after first-up losses in Brisbane and Sydney. 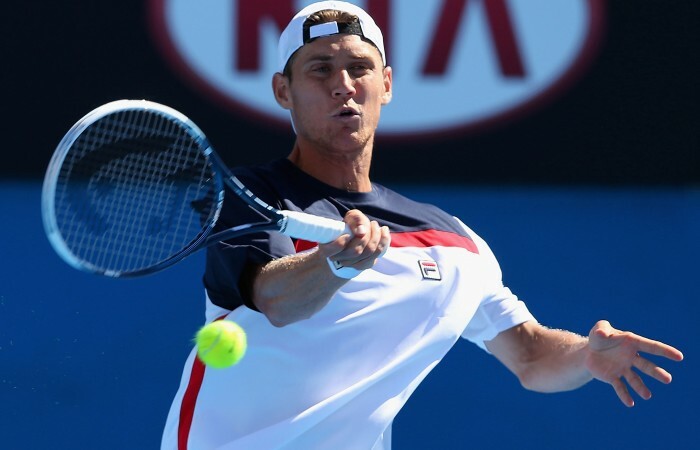 But for the lesser lights of the Australian tennis scene, day one was pretty much all doom and gloom – although Matthew Ebden was determined to look on the bright side despite letting slip a two-set lead for the second straight year at Melbourne Park. The South African-born Ebden seemed on course for an upset victory over No.23 seed Mikhail Youzhny when he raced through the second-set tiebreak. But the Russian veteran refused to yield, fighting off a match point in the 10th game of the fourth set before going on to win 4-6 6-7(0) 6-2 7-6(4) 6-3. 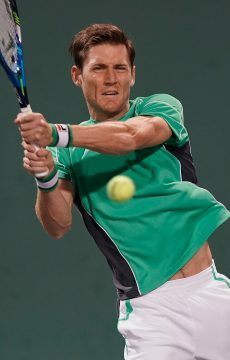 “I’ve had a lot of improvements out there,” said Ebden. “My return of service, my backhand, all that has improved a lot. “It obviously got me to match point. Big deal. “That’s how tennis goes some days – he won the point and I didn’t. “… he hit some great shots and he’s a quality player who’s been to the semis of slams. 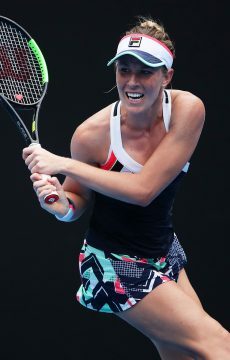 Ebden – who has never won a five-set match – also crashed out in the second round of last year’s Open to Japan’s Kei Nishikori after winning the first two sets. Much-improved John Millman made a good fist of his Grand Slam debut before going down 6-4 6-4 3-6 0-6 7-5 to Japan’s Tatsuma Ito, a player he had beaten two weeks earlier at the Brisbane International. Millman also took world No.3 Andy Murray to three tight sets in the Queensland capital and downed former world top-five player Tommy Robredo the following week in Sydney. 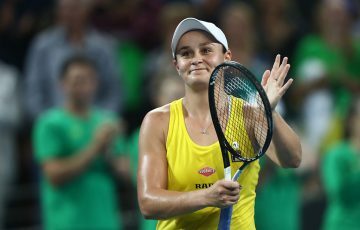 Teen star Ashleigh Barty said she was “destroyed” and countrywoman Olivia Rogowska felt “heartbroken” after they lost contrasting three-setters. Barty started brightly against women’s No.15 seed Dominika Cibulkova. But after dropping the first set, the Slovakian lifted to reel off 12 of the next 13 games and win 3-6 6-0 6-1. 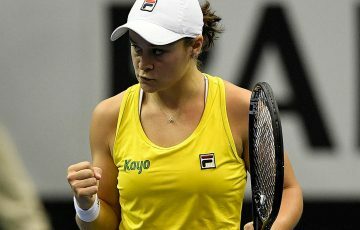 “That was nerves,” said Barty. “She was able to pounce on me pretty quickly. That’s why she’s ranked 15 in the world. Rogowska got into a winning position before bowing out 5-7 7-5 8-6 to Serbian qualifier Vesna Dolonc. Rogowska led 3-0 and 4-1 in the deciding set but couldn’t close the deal. Red-hot Agnieszka Radwanska started slowly before over-running West Australian Bojana Bobusic. The No.4 seed from Poland won the last nine games on the trot in her 7-5 6-0 victory. Casey Dellacqua failed to convert two set points in the 12th game and then fell apart in the tiebreaker of a 6-4 7-6(0) loss to American slugger Madison Keys. Kiwi-turned-Australian Sacha Jones lost 6-3 6-2 to Kristyna Pliskova from the Czech Republic.